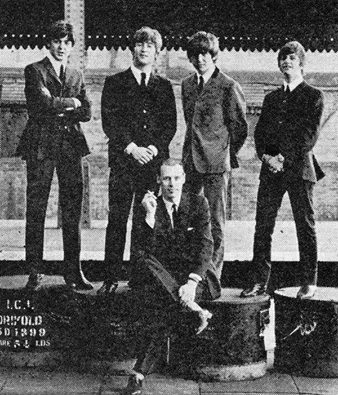 Beatles producer George Martin has died at the age of 90. Known as “the fifth Beatle”, Martin’s passing was announced by drummer Ringo Starr on Twitter. He added: "Thank you for all your love and kindness." Details regarding the circumstances and cause of the producer’s death have not yet been revealed. Martin’s work as an English record producer, arranger, composer, conductor, audio engineer, and musician is highly respected, with 30 No. 1 hit singles in the UK and 23 No. 1 hits in the US. His six-decade career involved the production of comedy and novelty records in the 1950s before crossing paths in 1962 with The Beatles, whom Martin signed to Parlophone Records and began handling production of their music. The Beatles' first single, “Love Me Do”, was released in October 1962 and became a UK Top 20 hit, while its follow-up, “Please Please Me”, went to No. 1 in their homeland in January 1963. The success led to a rush to record and release the band’s debut album, “Please Please Me”, in March of 1963. Martin went on to work with The Beatles throughout most of their career, while also featuring projects with Jeff Beck, America, Gerry And The Pacemakers, Kenny Rogers, Cheap Trick and Celine Dion on his extensive resume.